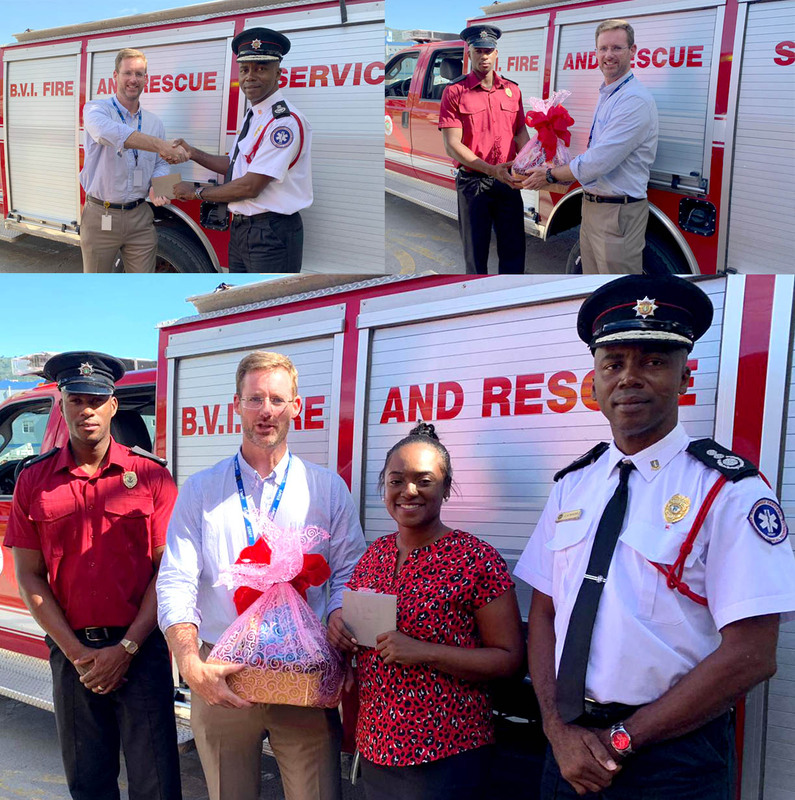 Today, December 18, Managing Partner of Harneys, Mr. Colin Riegels and Marketing and Business Development Coordinator of Harneys, Ms. Feliza Fenty made a monetary donation of two thousand dollars to the Virgin Islands Fire and Rescue Service. Pictured is Chief Fire Officer, Mr. Zebalon McLean and Fire Officer, Mr. Joseph Graham who received the donation on behalf of the department. The money will be allocated evenly towards the recovery efforts for the department as well as the department’s Fire Victims Funds.